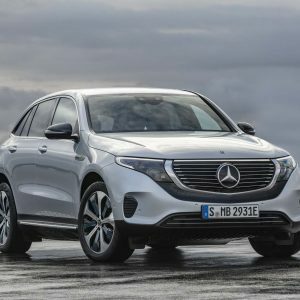 There’s no denying the popularity of sport-utility vehicles in America, but with so many on the road, it can be hard to stand out from the crowd. If getting noticed in your SUV is a goal, then the Rhino GX could be your SUV of choice. 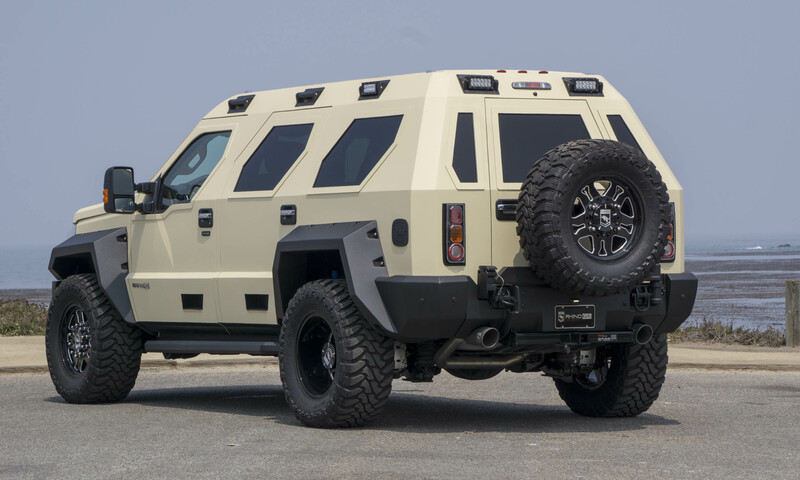 Hand built by US Specialty Vehicles, the Rhino GX is rare, massive, expensive and boasts styling like nothing else on the road. 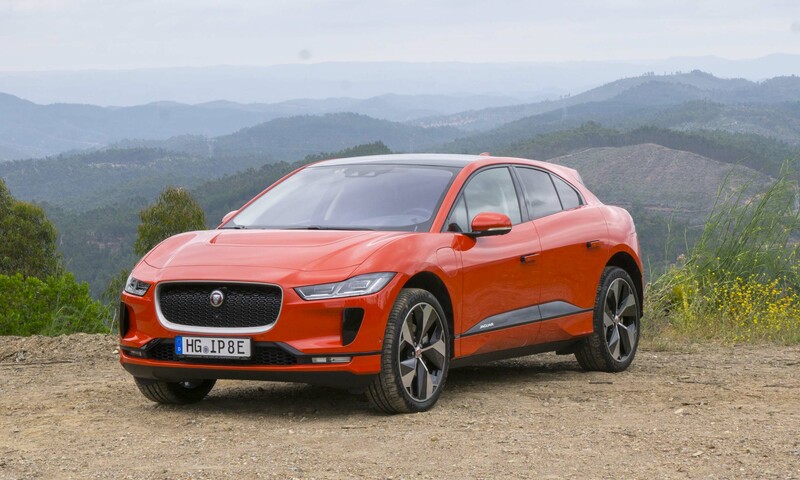 Spotting a Rhino GX on the road would be rather difficult, since the vehicle we tested on the winding roads around Pebble Beach is one of only 25 in the U.S. There are about 300 Rhino GXs worldwide, and most of those are in Asia. One look and it’s clear that the Rhino GX offers impressive capability. US Specialty Vehicles hand builds the bodies of the GX, which includes a fully-integrated roll cage. 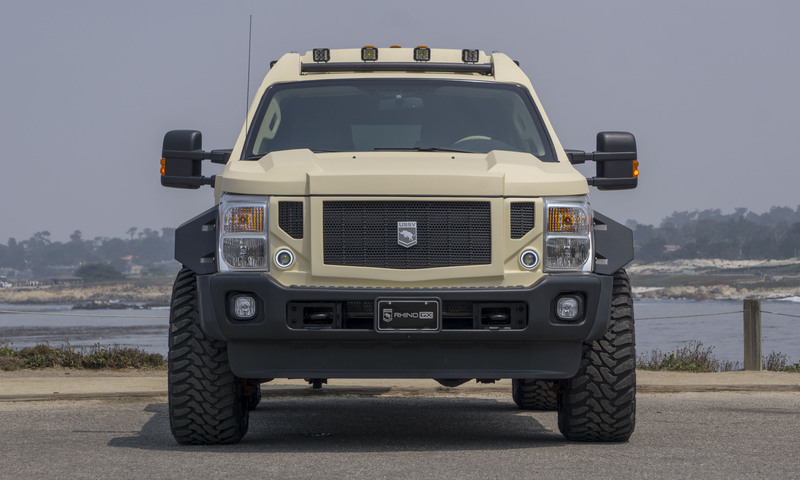 However, the big SUV rides on a proven chassis from the Ford F-450 Super Duty. The dashboard, mirrors, door handles and headlights also come from Ford — everything else is unique to the Rhino GX. 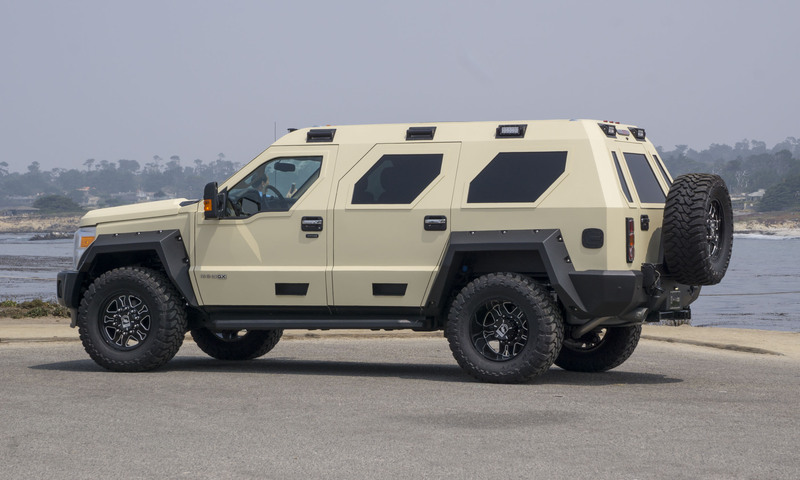 The exterior styling gives the impression that the Rhino GX is an armored transport, although the vehicle we tested simply had that appearance. US Specialty Vehicles uses a textured paint very much like the material used for bedliners — it has a rugged look, is very durable and is easy to clean. 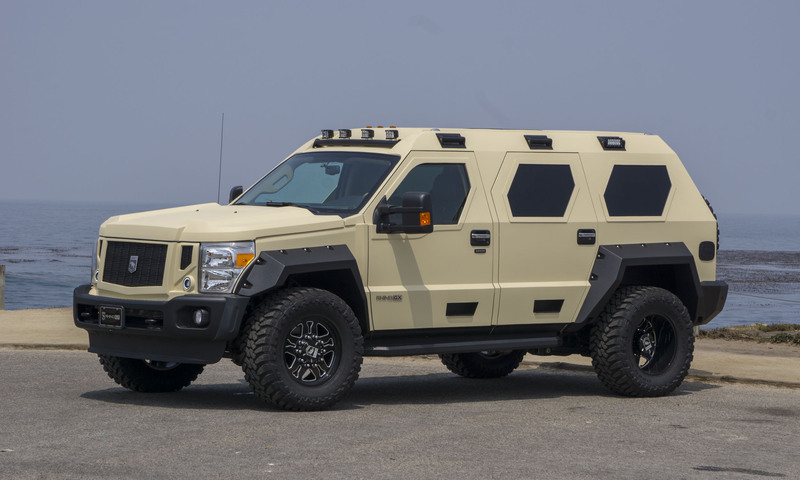 The Rhino can be armored if a customer requests it — but the armoring is done for USSV by a third party. 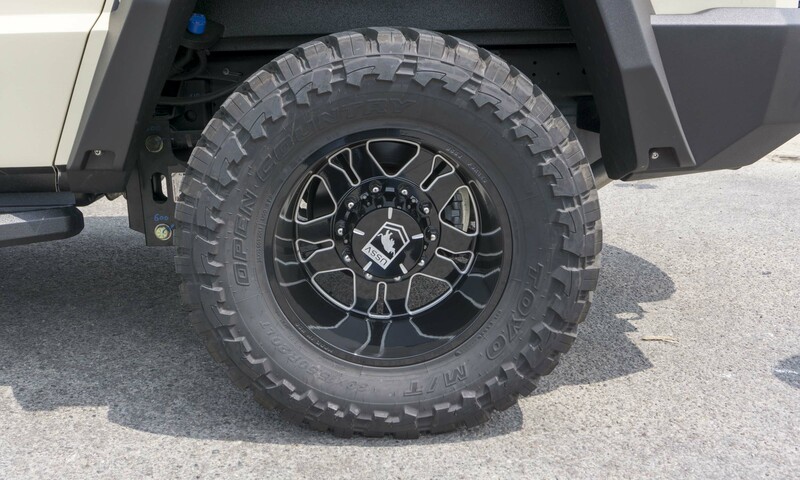 Adding to the tough look are the 20-inch custom wheels fitted with 38-inch Toyo Open Country off-road tires. 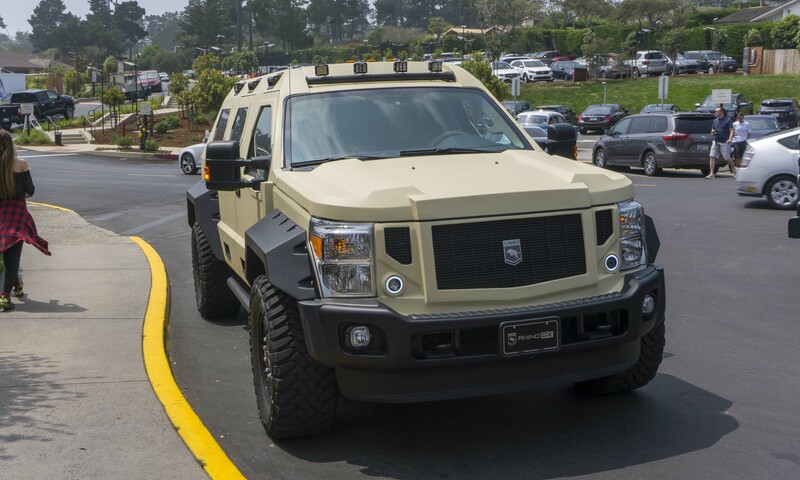 LED lights and grab handles add to the impression that this is more like an armored transport than SUV. It takes a lot of oomph to move a vehicle this large, but the Rhino possesses a powerplant up to the task. 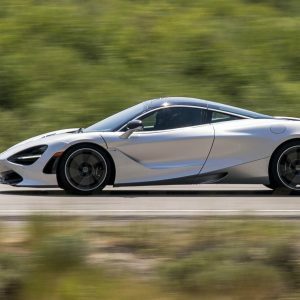 Under the hood is a 6.7-liter Power Stroke turbodiesel V8 engine that produces 440 horsepower and a plentiful 860 lb-ft of torque. 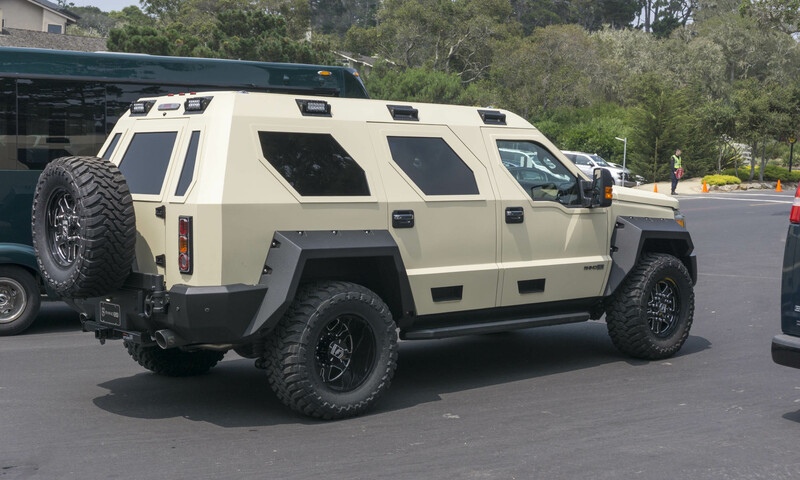 The Rhino is rated to tow up to 10,000 pounds; however, it is likely capable of hauling more weight than that. 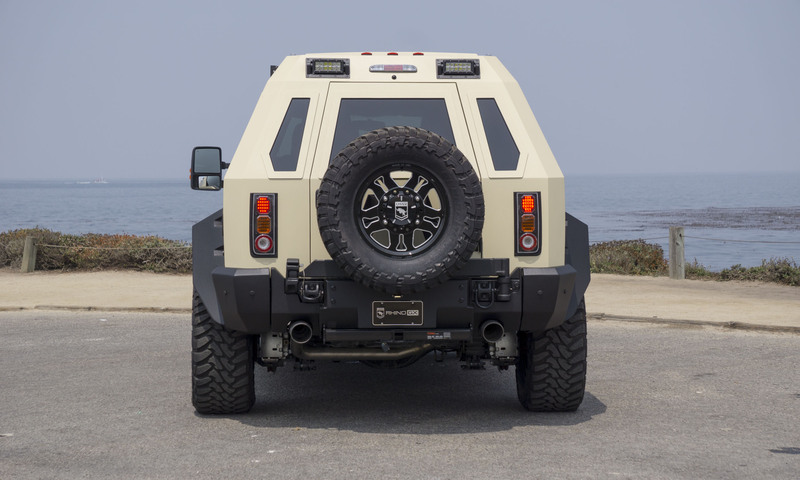 We took a short drive along the California coast near Pebble Beach and found the GX’s demeanor quite comfortable — especially considering how rough and tough the Rhino looks. Occupants sit quite high so visibility is good, and while the windows look smaller than a typical vehicle, this didn’t impede our view. 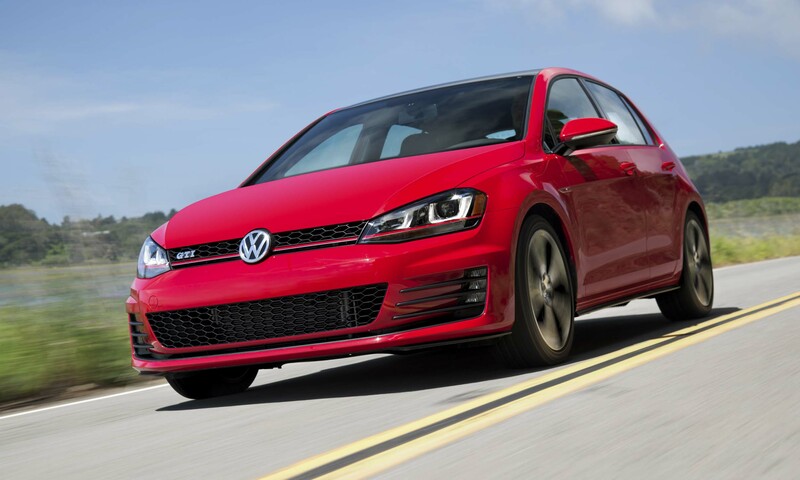 The big diesel offers plenty of power — acceleration is ample and strong. 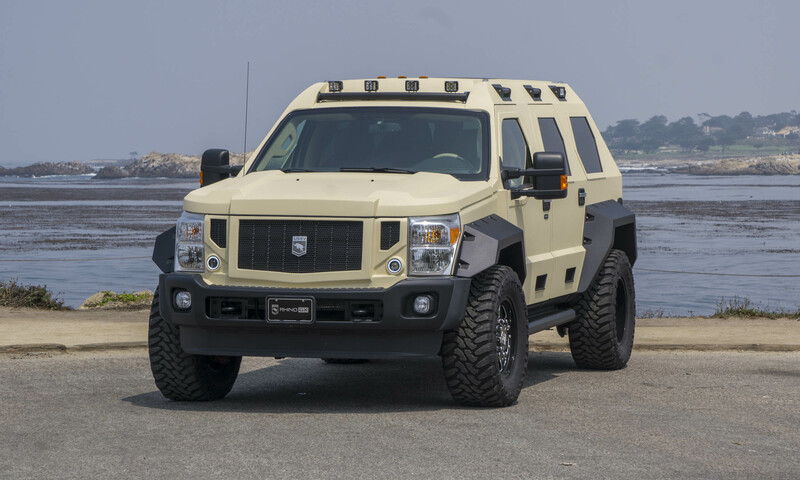 The only issue noticed while driving around the narrow coastal roads of Pebble Beach is one that’s quite obvious — the truck’s size. Measuring a full eight feet wide, there was considerable cringing as we threaded our way between trees and oncoming traffic. We actually had to stop a few times to let other vehicles by. 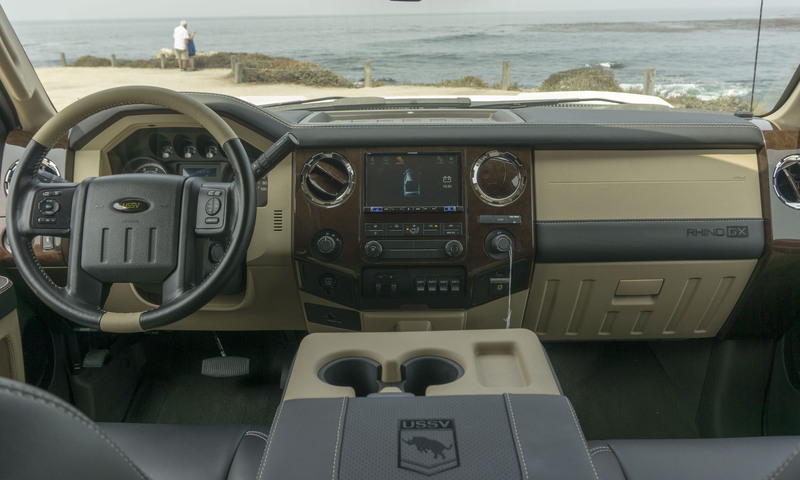 As tough as the Rhino looks on the outside, it’s quite luxurious on the inside. The vehicle we tested has two rear rows with total seating for seven. The second row has limousinelike legroom with large, power-adjustable leather-trimmed bucket seats. A fixed table offers cupholders and ventilation controls. A ceiling-mounted DVD player also is standard. Up front, drivers have a nice display screen customized for the Rhino, as well as big, comfortable seats. The center console is massive with plenty of storage space. 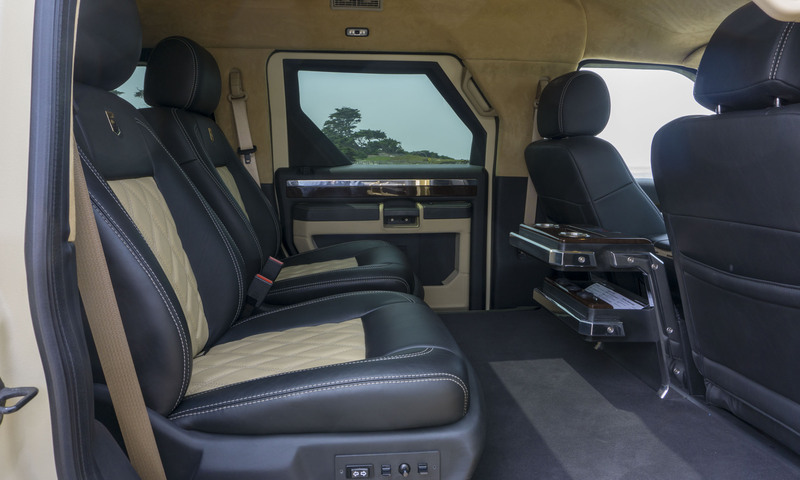 Although passengers will certainly find the Rhino GX’s interior spacious and comfortable, the trim of the vehicle we drove is more like that of a premium vehicle than an ultra-luxury model. 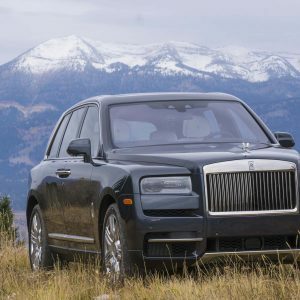 Materials are very nice, but not at the level of other vehicles in this price range, such as Bentley or Rolls-Royce. 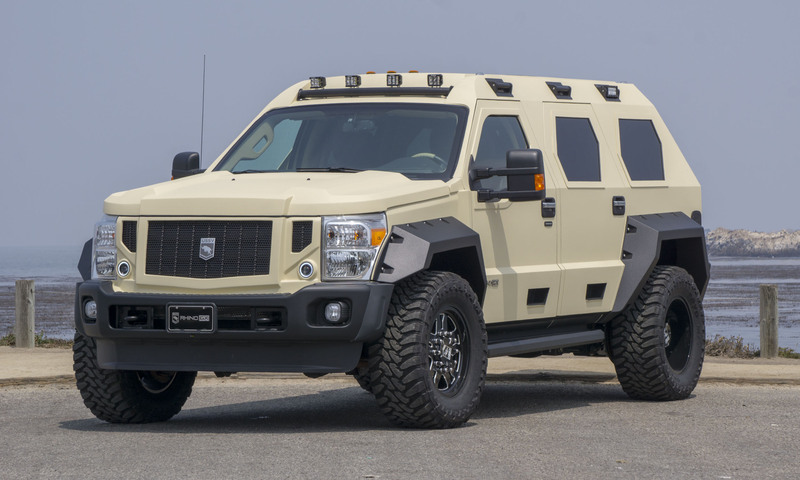 The base price of a Rhino GX is $250,950. 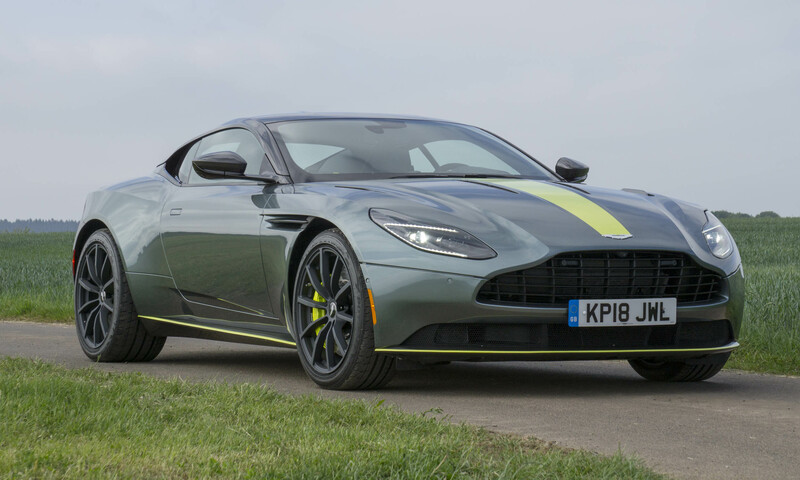 Our test vehicle’s price is slightly higher with the $10,000 textured paint option. 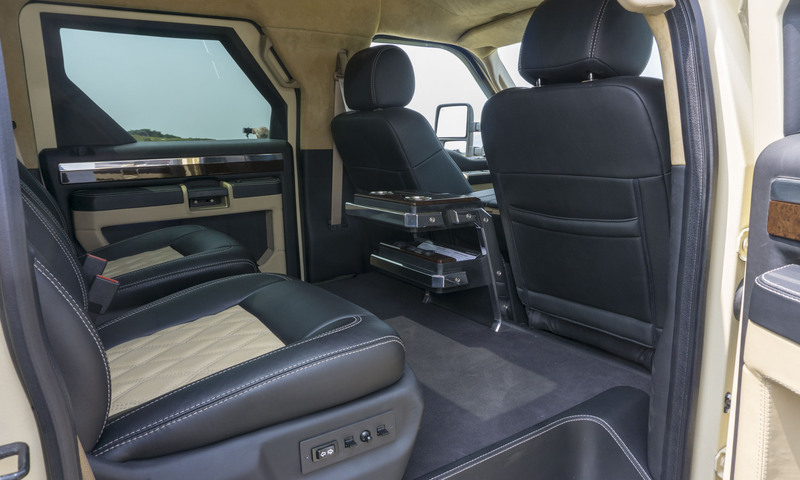 Upgrading to the Executive Model adds an intercom system, a partition with a 40-inch television, premium entertainment system and satellite TV receiver. The Executive Model is priced at $330,950. For those in the market for a fully capable and luxurious SUV that you likely won’t see in your neighbor’s driveway, the Rhino GX makes an excellent option. 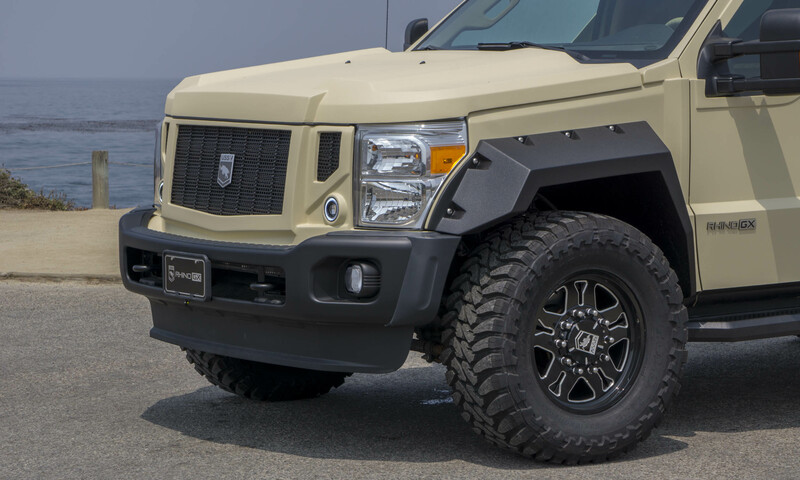 A new generation of Rhino GX will be coming next year, built on the recently updated Super Duty platform with updated technology, a more luxurious interior and an updated design. Pros: Extreme styling; impressive capability; spacious interior. Cons: Expensive; interior not ultra-luxurious; very wide. 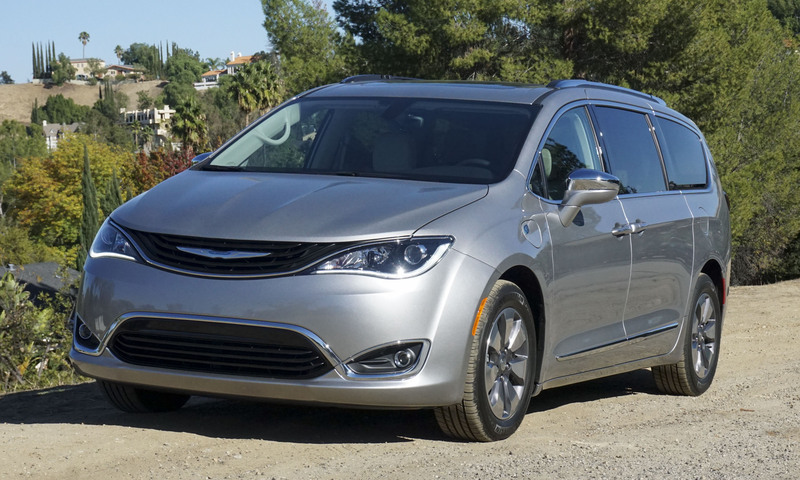 Bottom Line: The ultimate SUV for those looking to stand out from the crowd.